Alto’s Odyssey is the sequel to the endless snowboarding game, Alto’s Adventure, and it’s now available on the App Store! I’ve been playing almost obsessively and am now level 45, so I thought I’d make a little guide to help those new to the series, as well as to introduce new mechanics and items. I’ll be adding to this as I think of more, so if you have a specific question, ask in the comments section and I’ll try to help. I also have a list of goals for each level here. See my Alto’s Odyssey review here. The game can be played almost entirely with one hand. Your character will ride down the mountain automatically. You need to keep him or her moving, avoiding all obstacles in their way. The most basic way to do so is a light tap that will make your sandboarder jump. Hold your finger on the screen and they’ll continue rotating, attempting a backflip. If there’s enough room to complete the backflip and land on your feet, you’ll continue going. If not, you’ll land on your face and end the run. Doing backflips builds up your trick and combo meter, which also makes you move faster and build up a temporary force field around you that will let you smash into rocks. The faster you go, the more likely you’ll be able to successfully jump over chasms and escape lemurs. Other tricks include grinding, wallriding, balloon bouncing, wingsuiting and more. Performing long chains of tricks without touching the ground is how you pick up speed, but also how you achieve a higher score. Your scarf will also get longer as you do more tricks. 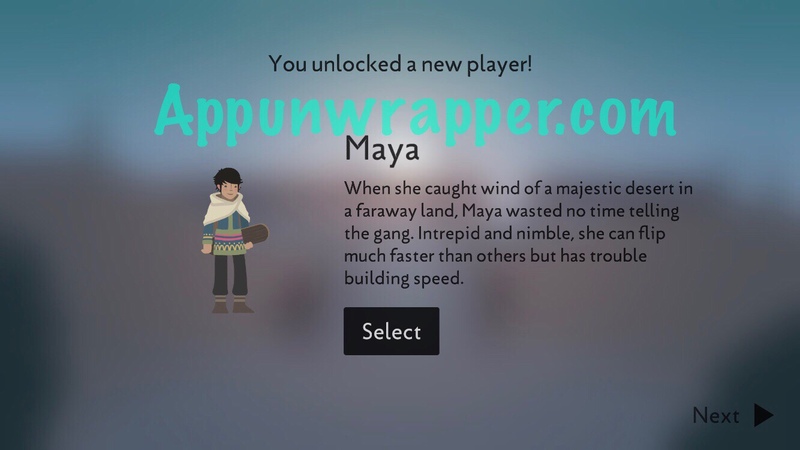 Once you unlock the wing suit, you power it up by performing tricks until your scarf is so long it turns white. Then, you can fly! 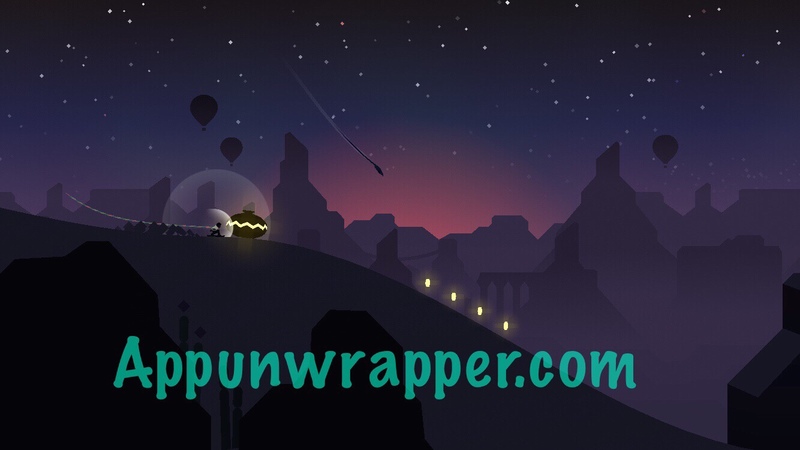 You activate the wingsuit by tapping the little icon to the left. But if you have 3D Touch, you can press hard into the screen so you can still focus on using just one finger. I prefer using my wing suit sparingly, to help me get higher and combine it with other tricks to keep my trick combo going. I also like having it available when I’m headed towards a chasm, as some of them can be pretty tough to get over without flying. If you don’t use up your whole wing suit meter at once, you can try to keep it full by performing more tricks. That way, it will be available when you really need it. If you have a goal that asks you to combine to tricks, like, say, a rock bounce and wall ride, you can use the wingsuit between the two and it should still count. Here is where I’ll put some random things I think people may have trouble with early on. 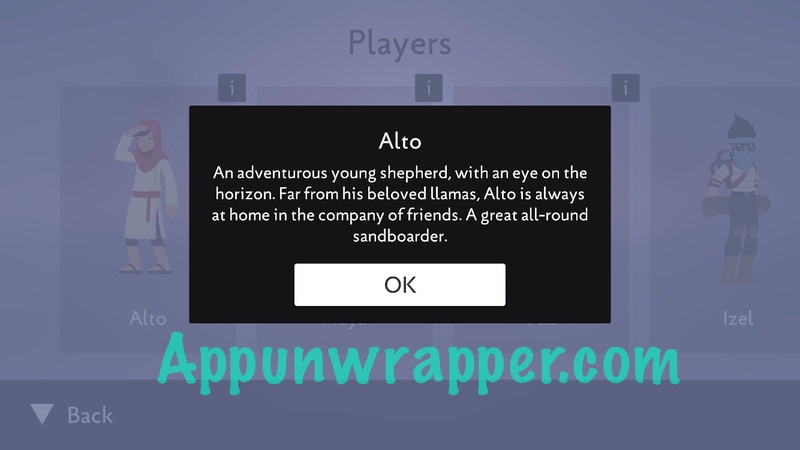 Alto: The default character. Average at everything! Maya: Unlocks at Level 11. She’s a super fast backflipper. I suggest switching to her as soon as you unlock her and stick with her at least until you get Izel. Then, play around with the two and see which one you like better. 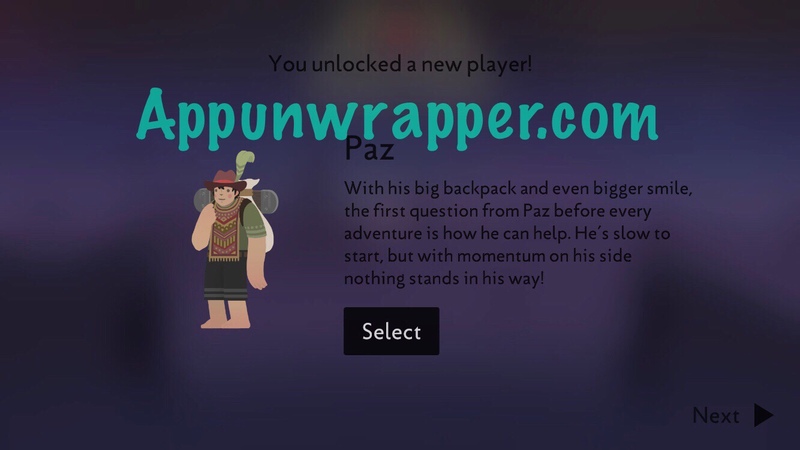 Paz: Unlocks at Level 21. He’s slow and flips super slowly. I don’t like him at all, but maybe someone out there does. I use him only for character-specific goals and then switch back to another character. 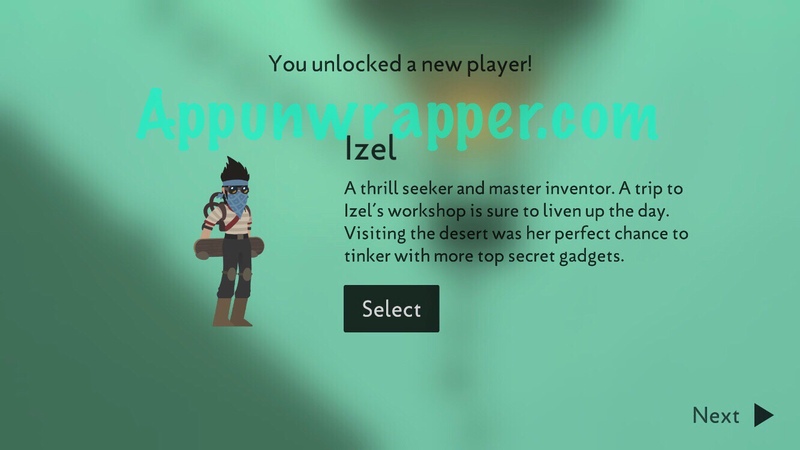 Izel: Unlocks at Level 31. He’s super fast, with a slightly slower backflip than Maya. He might take some getting used to after playing mostly with her, but he’s good for getting far quickly and escaping lemurs. 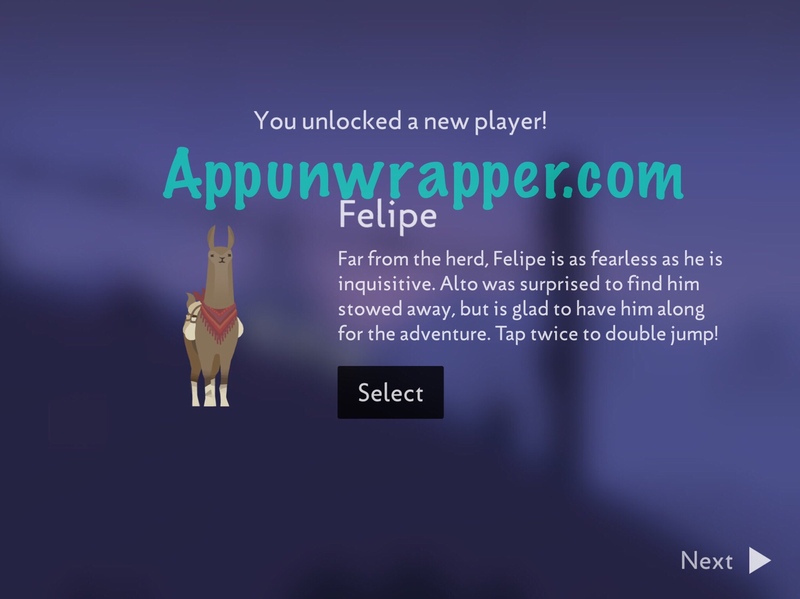 Felipe: Unlocks at Level 41. The only llama in the game! Double-tap to double-jump! He’s one of my favorite characters, as he’s saved me from some very close crashes in chasms. If you have trouble gaining speed or height, he can help with those pesky chasms! He’s also good for staying a bit above the Lemur when it’s hot on your tail. 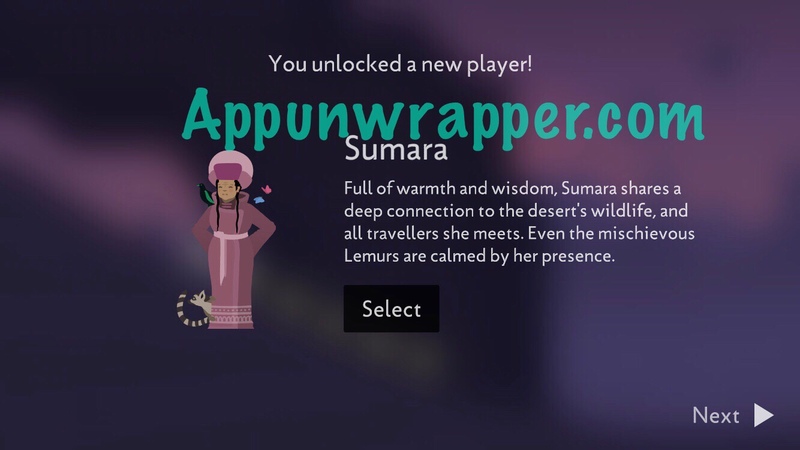 Sumara: Unlocks at Level 51. She backflips quickly like Maya but also double-jumps like Felipe! Also, Lemurs don’t bother her. Helmet: Carved from wood, these helmets will protect you from a single crash each. They won’t help with chasms, though! Chasm Rescue: These magical pickaxes will save you from a single chasm crash each. Magnet Timer: Increase the duration of the Coin Magnet to pick up even more coins. Lotus Timer: Increase the duration of the Lotus Flower. Smash rocks and avoid crashing during backflips for longer. Wingsuit Timer: Increase the duration of the Wingsuit Timer to fly even greater distances! Signal Amplifier: Boost the strength of of the radios you find, calling down more crates with better items. Sandboard: Crafted long ago in the Canyons, Izel has equipped it with special bindings. Use this durable board to wallride! (You’re instructed to purchase this at Level 6 for 1,000 coins. It will allow you to ride on walls! The Dunes: Full of hot air balloons and flagged bunting. Also, tornadoes! The Temple City: Waterfalls, streams, and pools. Also, temple ruins you can grind on. There are also vines that break if you ride them for too long. You can replay the three tutorials – Main, Sandboard, and Wingsuit — if you go to the main menu. They’re a good way to practice if you’re having trouble, especially the wallriding. There’s also Zen mode if you want to practice without worrying about dying. But it might sting if you have a really good run and none of it counts. These break if you stay on them too long. But if you do little jumps as you grind them, you’ll be able to continue on to the next one, and the next one. Bounce off these to continue your trick combo and get higher so you can do more backflips! When one stars chasing you, do backflips like your life depends on it, because it does! They’re fast and will stay hot in your heels. They even follow you onto flagged bunting and vines. Try to stay higher up if possible, or jump out of their way while you’re grinding. The only way to escape them is to get to a chasm, as they won’t follow. They’re similar to the Elder from Adventure, but harder to escape! Hey. I’m on Level 14. What the hell are temple steps?! I’ve done the jumped on temple ruins and everything but nada! If I remember correctly, it’s the layered temple where you can keep climbing up. But I remember being confused about that myself and getting it by accident. Nice guide! I got a tip for catching the crates that drop down when you pick up a mysterious radio: Immediatly turn on wingsuit (if you have it off course), make a loop de loop and turn wingsuit off right after. You will get them all. Paz is NOT slow. He is the fastest character. It says right in her description that Izel is a woman.